This is no doubt one of the highest achievements of Namiki pens. 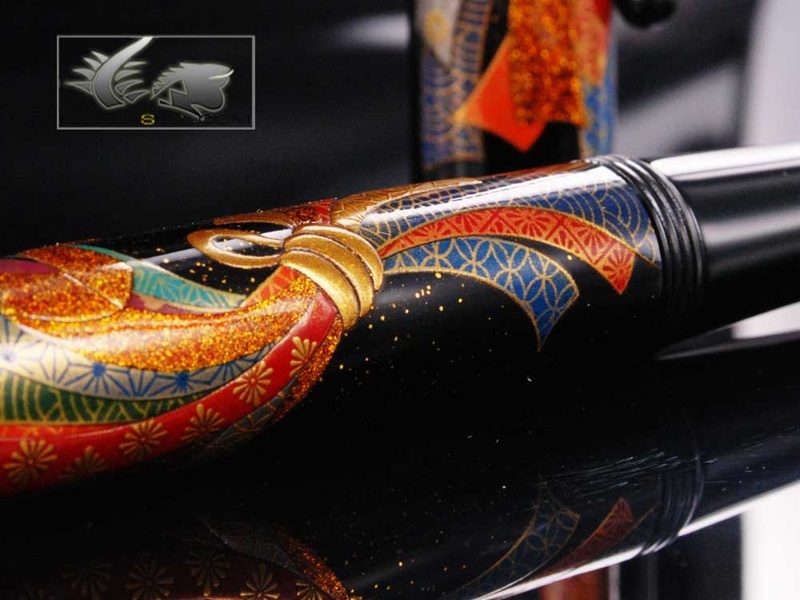 Not only is this pen finished in Urushi lacquering, which is already a distinctive mark, but the decorations and details are simply superb! The Namiki Yukari Tabane Noshi Fountain Pen is decorated with one of the most important symbols of Japanese tradition. The Tabane Noshi was originally an abalone bundle used for religious offerings in the Shinto religion. But ever since, the Tabane Noshi has been a famous decorative motif, and is present in many pieces of art and clothing designs. 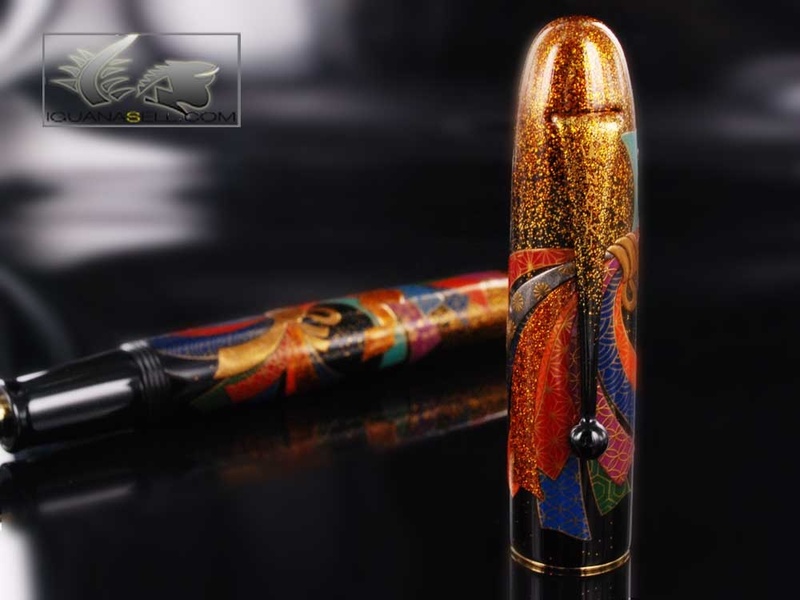 This pen presents a very colourful Tabane Noshi on the cap and barrel and has been finished in Roiro-Urushi lacquer. This procedure requires three months to finish the pen, and is the work of Japanese master craftsmen. The extremes of the pen present golden glitter, and the colorful design gives this pen a very special appearance. The nib is made of 18K gold and has the silhouette of Mt. Fuji on it in rhodium. The pen carries a Namiki piston filler. It comes in a beautiful wooden presentation box with a red velvet inside. 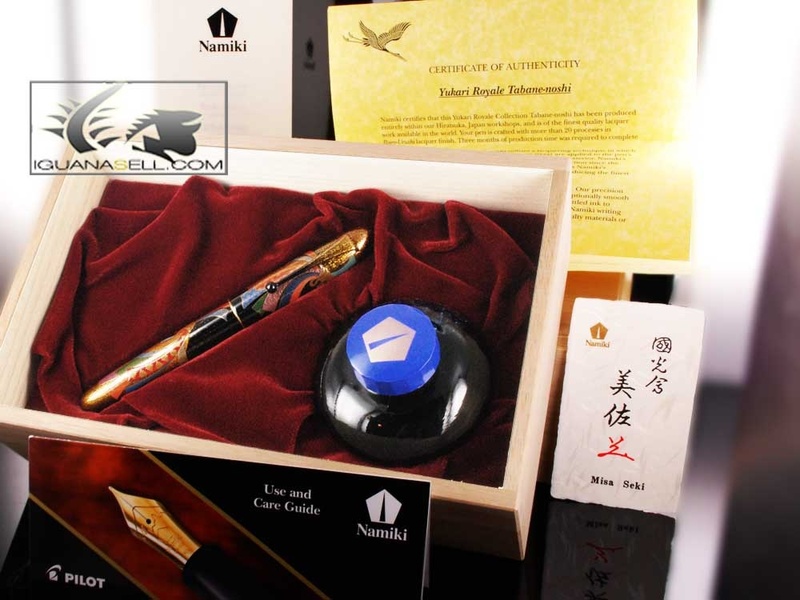 It includes a Namiki ink bottle as well! If you love Japanese pens and are looking for an exclusive pen, this is a great choice! 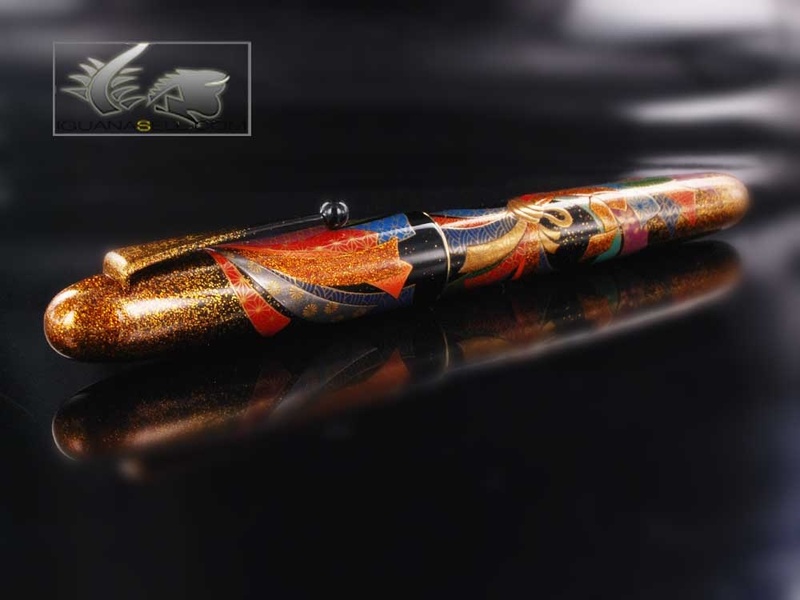 This beautiful pen is available now at Iguana Sell!